Durability: 5, 000 cycles Min. Contact resistance: 50 m ohm typical, 100 m ohm Max. 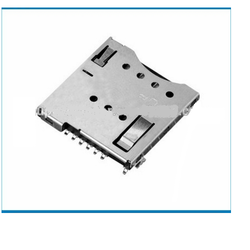 Owing to vast industrial experience in the industry, we offer world-class range of SIM Card Connector that are durable in nature and ensures wide applications. Our entire product line is functionally advanced in nature and is offered in standard technical grades. Furthermore, we offer them with customized solutions. 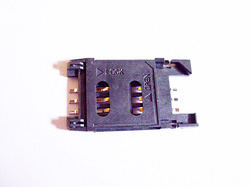 to meet the various requirements of the customers, we are involved in offering a wide assortment of sim card connector.